Though preventable and curable, malaria is still one of the most deadly diseases in developing countries. About 3.2 billion people – almost half of the world’s population – are at risk of malaria, with Sub-Saharan Africa carrying a disproportionately high share of the global malaria burden. Although nations across Africa have scaled up malaria control strategies, effective control and treatment present enormous logistical difficulties, as many at-risk populations live in extreme poverty in remote rural areas1. Reaching remote communities with poor transport systems and ensuring drug supplies do not run out represent some of the greatest hurdles to malaria elimination. In 2015, 95 countries and territories, including in Latin America, Asia and, to a lesser extent, the Middle East, had ongoing malaria transmission2. With a child dying from malaria every two minutes and the threat of drug resistance growing year-on-year, there is a real urgency to step up global efforts to combat this disease. For over a decade, the Novartis Malaria Initiative has been a pioneer in the fight against malaria. Focused on access, treatment, R&D and capacity building, the initiative is the largest access-to-medicine program within Novartis measured by the number of patients reached annually. Together with our partners, and with our continued patient-centric approach, we are committed to the common goal of malaria elimination. The Novartis Malaria Initiative is focused on conducting research and development for the next generation of antimalarials, improving access to treatment and helping communities deliver better healthcare. 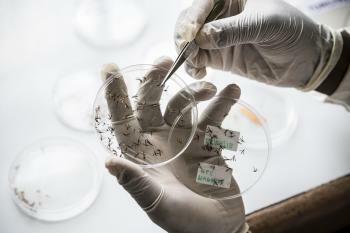 Operated by Sandoz, the Novartis generics and biosimilars division, the Malaria Initiative is one of the pharmaceutical industry's largest access-to-medicine programs. Since 2001, the initiative has delivered more than 800 million treatments without profit, including 300 million dispersible pediatric treatments, mostly to the public sector of malaria-endemic countries.